After a two year break, the 13th Edition of the Pittsfield Youth Cycles races hosted by the BCA is back. To be held on four consecutive Thursday evenings starting May 30th and concluding on June 20th, this race series is for all children up to and including 12 year old at the start of the series. 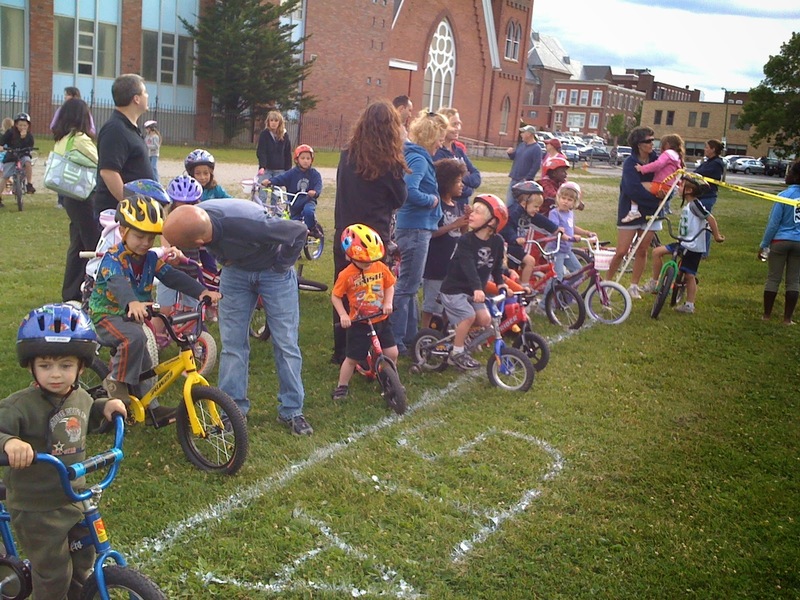 Bring your children, their bike and a helmet and join us for a fun evening at The Commons in Pittsfield. Don't have children - Invite your friends who do. Even better, come down and volunteer at the event. For more information see the Pittsfield Youth Cycle Races information page.